Nice HO7124 Hopp Motor for swing gates up to 2.4m, with articulated arm and control unitFeatures:Irreversible electromechanical 2..
Nice HykeKit 1 articulated gate opener kit with built-in obstacle detection. For swing gates with leaves up to 3.5m and 330kg. 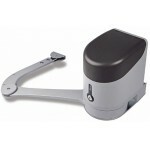 Ideal fo..
Nice HykeKit 2 articulated gate opener kit with built-in obstacle detection. 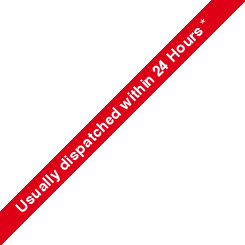 For swing gates with leaves up to 3.5m and 330kg. 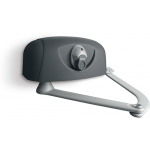 Ideal fo..
​Nice Walkykit 1024Product Features:Opening and closing time of 7 seconds. Suited to gates made of wood or PVC For swing gate..
Nice Walkykit 2024For swing gates with leaves up to 1.8m. Suited for gates made of wood or PVC. 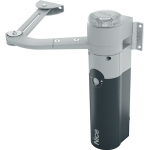 Ultra compact design, recommended..
Nice Hopp Articulated Gate Opener Kit (2.5m, 24v)Product FeaturesCan operate in the event of power failure with the optional PS12..
Nice Hyppo 230v articulated gate kit for automation of swing gates with leaves up to 3.0m and 800kg. Kit Includes:	2 x HY7005 Motors	2 ..